One of our most popular trophies, these nickel plated two-handled traditional trophy cups are available in nine sizes - perfect for a range of budgets, or for creating awards for different levels of achievement. They feature a polished silver colour finish and are mounted on a stepped, heavyweight black base with engraving plaque. 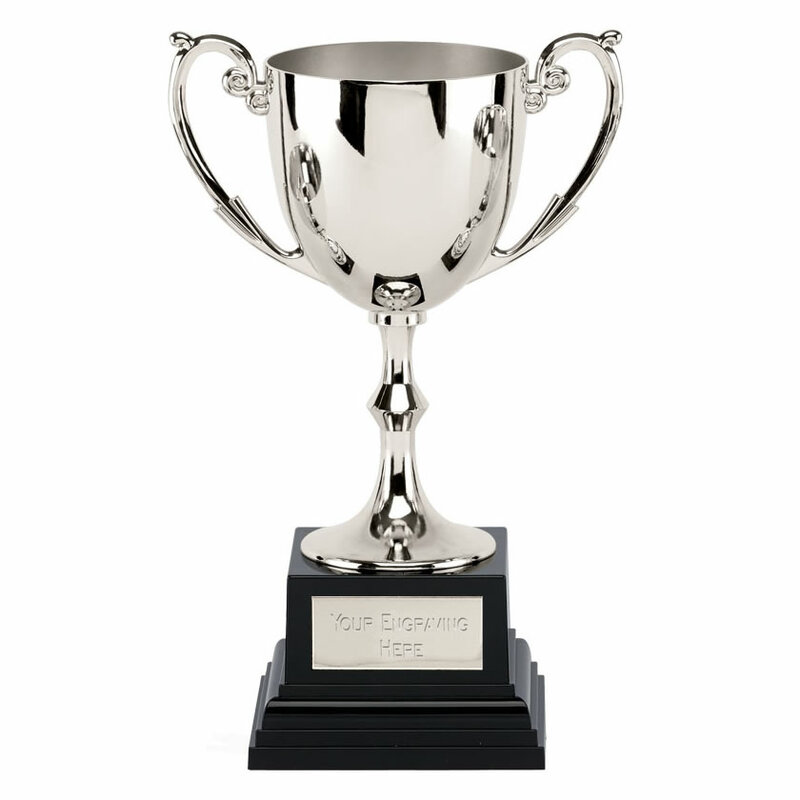 These trophies are supplied in black boxes and can be engraved on the body and/or base plaque.